DD West LLP is seeking an energetic, conscientious junior level litigation associate who can multi-task to meet tight deadlines, has the ability to work independently while ensuring tasks are completed accurately and in a timely fashion. This role requires someone with a can do attitude that has at least two (2) to five (5) years’ experience in litigation with a strong interest to grow with our team. Key accountabilities and responsibilities: Responsible for managing litigation files; Researching legal issues and preparation of memorandums for partners on the file; Assisting senior lawyers with client files; and Appearing independently on matters before the Provincial Court of Alberta, Court of Queen’s Bench and various administrative tribunals. Qualifications: The ideal candidate must have two (2) to five (5) years of active litigation experience from a reputable Canadian law firm. Ambitious, personable and entrepreneurial; In good standing with Law Society of Alberta; Superior communication and drafting skills; Organized with the ability to manage multiple files in various stages of litigation; Excellent academic and professional credentials; Excellent technical, analytical and problem solving skills; Strong legal research skills; Ability to identify the most effective file strategy and manage complex client files with minimal senior supervision; Demonstrate commitment to client service and above attention to detail; Desire to participate in business development opportunities through attending and/or joining appropriate networking events and memberships; A team player with the ability to work well with others in a group setting and adapt to firm policies and procedures; and Ability to work under short deadlines in a fast-paced atmosphere with minimal supervision; Excellent time management skills with ability to handle multiple priorities. Other DD West offers a competitive base salary with bonus structure for meeting or exceeding budget, quality work on large files, mentorship, access to continuing legal education and opportunity for future partnership. We welcome applications from candidates who have already established a client base. If you are interested in joining the DD West LLP team, please respond with your cover letter, resume and post-secondary academic transcripts. We thank all candidates who apply, however, only those selected for a personal interview will be contacted. No phone calls and/or agencies please. osition Description Drafting submissions and legal opinions, negotiating and drafting contracts, handling claims, concluding shipping finance deals, managing external lawyers and providing legal consultancy and support to internal stakeholders. The candidates applying should have the following profile: Education, Experience & Skills Law degree and post graduate degree in shipping law Qualification in Greece and/or the UK and/or the US Work experience of 4-8 years in a Law Firm, P & I Club or Shipping Company Proven working experience in arbitration, drafting of pleadings, FD&D, P&I and shipping finance IT literacy including excellent use of Microsoft Office suite is a prerequisite Proficiency in English at an oral and written level Ability to effectively communicate with internal and external business stakeholders Ability to act independently while keeping strict deadlines and following up on tasks diligently The position is permanent and is based at the company’s headquarters, in Athens (Vouliagmeni) Greece. If you are in search of a first class working environment in the global ship management industry and meet the above qualifications, please submit your CV. GROW WITH US AND BE YOUR BEST Clark Wilson LLP is seeking a Junior Litigation Paralegal to join our growing insurance practice group. This is a full time, permanent position and is ideal for anyone wanting to join a firm that takes pride in having a collegial working atmosphere where growth, professional development and team work is supported. PRIMARY RESPONSIBILITIES initial file review and assessment; drafting pleadings, motion materials, mediation summaries, chronologies, quantum and liability assessments and opinion letters; managing the document discovery process; reviewing, summarizing and organizing documents; preparing lists of documents; preparing and organizing materials for expert reports; communicating with clients, experts, and opposing counsel; conducting legal research; obtaining and interpreting online due diligence searches; preparing for examinations for discovery, mediation and trial; drafting bills of costs and settlement documentation; liaising with legal assistants, paralegals, other lawyers and clients on file progress; and general administrative duties as required. QUALIFICATIONS AND SKILLS graduate of a recognized Paralegal program; at least 2 years of recent experience working as a litigation paralegal, with experience in insurance defence an asset; the ability to work on a litigation file from start to finish; self-motivated with excellent problem solving skills; the ability to work in a team environment; solid understanding of BC civil litigation practices and procedures; very familiar with the BC Supreme Court Civil Rules; strong analytical and writing skills; strong technical skills, including proficiency with Microsoft Word, Excel, Outlook, Adobe, and BC Online; familiarity with e-discovery document management software including, Summation, Ipro Eclipse and CaseMap; excellent organizational skills and attention to detail; the ability to prioritize a high volume of tasks and competing priorities; a client centered approach with the commitment to providing outstanding service; the ability to follow instructions and adhere to strict deadlines; dedicated to providing service beyond expectation; and the ability to exercise sound judgment, discretion and, confidentiality, and to adapt to changing demands. ABOUT US Clark Wilson is a thriving regional law firm that provides an excellent platform for business-minded professionals. We are consistently recognized by Canadian Lawyer as one of Western Canada’s top 10 regional firms most recently certified as a Great Place to Work by Great Place to Work® Institute Canada. Our firm is comprised of over 90 highly accomplished lawyers and 150 support staff. We are proud that our team includes a diverse range of backgrounds and experience, with a common dedication to responsive, thoughtful and comprehensive client service. Our clients count on us to achieve results and provide value quickly and efficiently. Our employees are instrumental in helping us to achieve these results. If you would like to be part of our team and are hardworking and goal driven – we want to hear from you! BENEFITS WE OFFER We offer a comprehensive salary and benefits package that is very competitive, together with opportunities for personal and professional growth. Our benefits include: a matching RRSP program; an annual education/tuition allowance; ongoing continuing education; flexible health and dental coverage; short and long term disability insurance; personal days to help balance outside commitments; employee assistant program; monetary incentive for employee referrals; casual day every friday; and plenty of opportunity to get to know your co-workers during our various social events and treat days throughout the year. See for yourself by checking out our Blog under our Culture section of our website. HOW TO APPLY Please visit our website at www.cwilson.com to find out more about Clark Wilson. You can apply for this position through the careers section of our website or by emailing your resume to Sherri Fostvelt, Director of Human Resources. Clark Wilson is an equal opportunity employer and offers competitive compensation and a positive team working environment. We thank all applicants for their submissions, however, only those persons selected for an interview will be contacted. rown Counsel Assistant (Paralegal) - Registry Officers - COU000810 Employment Type: Non-Perm Out-of-Scope Location(s) : SK--Regina and Area-Regina Ministry : 003 Justice Salary Range: $4974-$6468 Monthly Grade: Contract The Ministry of Justice’s Legal Services Division is seeking a Crown Counsel Assistant to assist with solicitor and public registry (land registry, corporate registry and personal property registry) matters in Regina on the basis of a one-year renewable contract. The successful candidates will have relevant education and/or experience and will work under the supervision of one or more lawyers in the Office of Public Registry Administration. The successful candidates will need to work independently, follow instructions with minimal supervision and take initiative to meet the needs of the branch. The position requires an understanding of government, cabinet and legislative processes as well as solicitor work. Duties may include liaising with clients and stakeholders, research including in the public registries, conducting cross jurisdictional scans and analysis, preparing legal agreements and cabinet documents, managing the assurance and compensation claims process, assisting with freedom of information responses, preparing correspondence, as well as creating and maintaining a precedent system. The positions require superior computer and word processing skills and familiarity with Word, Excel and other relevant software. Excellent written and verbal communication skills, sound judgment, strong organization skills and superior analytical skills are needed for the positions. Experience with legal and legislative procedures are requirements. Experience with legal research software including CanLii and QuickLaw is also an asset. We are committed to workplace diversity. Job Description Canada Pension Plan Investment Board has an opening for a lawyer to support commercial contracting, knowledge management and other enterprise legal matters. Reporting to a Director, Legal, the successful candidate will join a dynamic team of legal and compliance professionals who engage directly with senior leadership and business units to help them navigate, understand and comply with legal and regulatory requirements in a manner consistent with our Guiding Principles and our mandate to help ensure a stable retirement income for 20 million CPP contributors and beneficiaries. Role-Specific Accountabilities Provide advice and assess legal risk in connection with the review and amendment of commercial contracts; manage and enhance contractual templates and precedents, working closely and collaboratively with paralegal professionals and other lawyers in the Legal Department Provide advice and assess legal risk in connection with the review and negotiation of material issues arising in relation to commercial and investment-related non-disclosure agreements Provide legal advice and support for organizational treasury functions, including bank and custodial arrangements and debt issuance programs Development, maintenance and monitoring of the Legal Department’s knowledge management system, in collaboration with the legal, compliance and board secretariat teams, including acting as a central resource and point of contact for advisory precedents, precedent management, research, and integration of knowledge management content with organizational information governance programs and policies Enhancement and management of global regulatory monitoring, in collaboration with the compliance team and other members of the Legal Department, across the organization, and external counsel relationships Generally assist on other legal matters as they arise Qualifications LL.B./LL.M or JD required 3 to 5 years of relevant legal experience in sophisticated corporate/commercial private practice at a major law firm or an in-house corporate legal department, including experience drafting and negotiating commercial agreements Knowledge of, and experience managing, legal knowledge management systems is a plus Willingness to lead, create new ideas, and be assertive Strong communication and interpersonal skills, including ability to work cooperatively with many different stakeholders and ability to manage outside counsel Ability to meet deadlines and work under pressure Strong organizational skills; flexible, adaptable, and able to manage ambiguity and multiple projects Motivated self-starter with ability to work independently with minimal supervision Professional conduct reflecting the quality of work, ethical values and high standards of CPP Investment Board Additional Information Visit our Linkedin Career Page or Follow us on LinkedIn. #LI-PM1 At CPP Investment Board, we are committed to diversity and equitable access to employment opportunities based on ability. We thank all applicants for their interest but will only contact candidates selected to advance in the hiring process. Disclaimer: CPP Investment Board does not accept resumes from employment placement agencies, head-hunters or recruitment suppliers that are not in a formal contractual arrangement with us. Our recruitment supplier arrangements are restricted to specific hiring needs and do not include this or other web-site job postings. Any resume or other information received from a supplier not approved by CPP Investment Board to provide resumes to this posting or web-site will be considered unsolicited and will not be considered. CPP Investment Board will not pay any referral, placement or other fee for the supply of such unsolicited resumes or information. The Opportunity: LSS has received funding from the provincial government to expand a new child protection service, the Parents Legal Centre (PLC), throughout the province. As part of the Indigenous Services Division, the PLCs will have a focus on serving Indigenous people. As the Administrative Legal Assistant/Intake Legal Assistant (ALA/ILA), PLC, you will be part of a team working to assist parents with child protection matters to reach early collaborative resolutions where appropriate. The Parents Legal Centre take s a holistic approach early in the child protection process to help families stay together where possible. The PLC supports parents to resolve not only their legal matter but also the underlying non-legal issues, such as housing or addictions, which often contribute to protection concerns in the first place. Better outcomes may be achieved when parents access legal advice and support at the early stages in their interaction with child protection authorities. 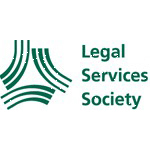 Who We Are: The Legal Services Society (LSS) is the provincial legal aid provider in British Columbia. As a non-profit organization, our goal is to provide legal information, advice, and representation services to people with low incomes in BC. We assist some of BC’s most vulnerable and marginalized citizens: those who do not have the financial, educational, social or health resources to effectively access the justice system when their families, freedom, or safety are at risk. As PLC Administrative Legal Assistant/Intake Legal Assistant you will: provide administrative support to the PLC lawyers and advocates/paralegals; provide front line services to the public and intake services, including taking client information, identify legal problems and urgency, assess eligibility, give legal information and verify legal advice, check conflicts and make appointments; draft, produce routine correspondence and legal documents, answer telephone inquiries, provide information on services offered or direct to other services; manage client filing system (paper and electronic); process and maintain program data, databases, data input and reporting; liaise with other agencies in the community that provide assistance to our clients; work in collaboration with PLC team (managing lawyer, lawyer(s), paralegal/advocate(s) and other administrative legal assistant(s)) and liaise with other LSS intake assistants. The Ideal Candidate: You have completed Legal Administration courses or program, or courses in Law or Sociology supplemented by a minimum of five (5) years of administrative experience in a law environment and one (1) year of intake experience. You have a strong desire to assist disadvantaged clients, including those experiencing family violence or addiction issues, those with low income, or those with mental disabilities. You have an awareness of a community’s cultural diversity, particularly Indigenous cultures. You strive to exceed expectations and are a team player. We Offer: A competitive annual salary, as well as a comprehensive benefits package, including: four weeks paid vacation to start that grows the longer you are with LSS an excellent employee benefits package, where premiums are 100% paid by LSS a generous pension plan support for training and development an Employee and Family Assistance program the opportunity to participate in various Employee programs (Employee Wellness, etc.) generous leave provisions (sick time, special leaves) 13 paid statutory holidays For more information please see LSS website for the position(s) posting with full job requirements : https://www.lss.bc.ca/general/currentVacancies.php Interested candidates should submit a covering letter, together with a résumé, outlining how their qualifications meet the position requirements and quote which competition they are applying for, to: Legal Service Society Human Resources Department 400-510 Burrard Street Vancouver, BC V6C 3A8 VISIT OUR WEBSITE AT www.legalaid.bc.ca Deadline for applications is April 25, 2019. The Legal Services Society is committed to building a skilled, diverse workforce reflective of Canadian Society. We are committed to employment equity and encourage applications from indigenous people, visible minorities, women and persons with disabilities. We would like to thank all external applicants for their interest but regret that only those shortlisted will be contacted. Canada Pension Plan Investment Board has an opening for a lawyer to support commercial contracting, knowledge management and other enterprise legal matters. Reporting to a Director, Legal, the successful candidate will join a dynamic team of legal and compliance professionals who engage directly with senior leadership and business units to help them navigate, understand and comply with legal and regulatory requirements in a manner consistent with our Guiding Principles and our mandate to help ensure a stable retirement income for 20 million CPP contributors and beneficiaries. Role-Specific Accountabilities Provide advice and assess legal risk in connection with the review and amendment of commercial contracts; manage and enhance contractual templates and precedents, working closely and collaboratively with paralegal professionals and other lawyers in the Legal Department Provide advice and assess legal risk in connection with the review and negotiation of material issues arising in relation to commercial and investment-related non-disclosure agreements Provide legal advice and support for organizational treasury functions, including bank and custodial arrangements and debt issuance programs Development, maintenance and monitoring of the Legal Department’s knowledge management system, in collaboration with the legal, compliance and board secretariat teams, including acting as a central resource and point of contact for advisory precedents, precedent management, research, and integration of knowledge management content with organizational information governance programs and policies Enhancement and management of global regulatory monitoring, in collaboration with the compliance team and other members of the Legal Department, across the organization, and external counsel relationships Generally assist on other legal matters as they arise Qualifications LL.B./LL.M or JD required 3 to 5 years of relevant legal experience in sophisticated corporate/commercial private practice at a major law firm or an in-house corporate legal department, including experience drafting and negotiating commercial agreements Knowledge of, and experience managing, legal knowledge management systems is a plus Willingness to lead, create new ideas, and be assertive Strong communication and interpersonal skills, including ability to work cooperatively with many different stakeholders and ability to manage outside counsel Ability to meet deadlines and work under pressure Strong organizational skills; flexible, adaptable, and able to manage ambiguity and multiple projects Motivated self-starter with ability to work independently with minimal supervision Professional conduct reflecting the quality of work, ethical values and high standards of CPP Investment Board Additional Information Visit our Linkedin Career Page or Follow us on LinkedIn. #LI-PM1 At CPP Investment Board, we are committed to diversity and equitable access to employment opportunities based on ability. We thank all applicants for their interest but will only contact candidates selected to advance in the hiring process. Disclaimer: CPP Investment Board does not accept resumes from employment placement agencies, head-hunters or recruitment suppliers that are not in a formal contractual arrangement with us. Our recruitment supplier arrangements are restricted to specific hiring needs and do not include this or other web-site job postings. Any resume or other information received from a supplier not approved by CPP Investment Board to provide resumes to this posting or web-site will be considered unsolicited and will not be considered. CPP Investment Board will not pay any referral, placement or other fee for the supply of such unsolicited resumes or information. Req ID: 75056 Department: Law Job Type: Full-Time Position Type: Non-Union Location: Calgary, Alberta Country: Canada % of Travel: 0-10% # of Positions: 2.00 Job Available to: Internal & External Deadline to apply: 02/14/2019 Canadian Pacific is a transcontinental railway in Canada and the United States with direct links to major ports on the west and east coasts. CP provides North American customers a competitive rail service with access to key markets in every corner of the globe. 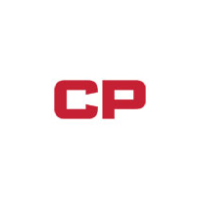 CP is growing with its customers, offering a suite of freight transportation services, logistics solutions and supply chain expertise. Visit cpr.ca to see the rail advantages of CP. PURPOSE OF THE POSITION: Legal Services is looking for a candidate to fill a Legal Counsel Litigation position, reporting to the General Counsel - Litigation. The successful candidate will provide proactive business-oriented legal advice to the corporation at all levels, and will provide support to senior lawyers primarily on litigation matters. This is a permanent full-time position. POSITION ACCOUNTABILITIES: Assist in managing litigation mandates throughout Canada, including: reviewing and preparing pleadings and arbitration materials; attending mediations, arbitrations, hearings and other judicial or tribunal appearances; and providing overall litigation strategy and direction; Conduct judicial and tribunal hearings and motions; Provide general legal advice in various aspects of CP’s business, while ensuring legal compliance and alignment with CP policies, practices and procedures; Provide legal opinions; Assist in preparing executive and board reporting; Assist in audit and compliance reporting and assessment; Assist in internal investigations and reporting; Provide instructions, direction and oversight to external counsel in their performance of CP legal work; Provide support to the Legal Services team in other areas of law, including commercial, regulatory, and labour & employment, as requested. POSITION REQUIREMENTS: Graduate of a recognized law school and membership in the Law Society of one or more of the provinces of Canada; Minimum 8 years of legal practice at a private law firm, corporate law department or governmental/quasi-governmental law department; Familiarity with litigation and arbitration processes; Knowledge of transportation laws, both federal and provincial, and experience in transportation industry, would be an asset; Possess strong analytical skills, sound judgment and an ability to apply legal principles to CP’s business and operations in an effective, proactive and pragmatic manner; Excellent written and verbal communication skills; Ability to manage relationships with external counsel; Demonstrated organizational skills to prioritize high volume workload in a time-sensitive environment; Excellent interpersonal skills with an ability to work both within a team and independently with minimal supervision. WHAT CP HAS TO OFFER: Flexible and competitive benefits package Competitive company pension plan Employee Share Purchase Plan Performance Incentive Program Annual Fitness Subsidy ADDITIONAL INFORMATION: As an employer with national presence, the possibility does exist that the location of your position may be changed based on organizational requirements. Background Investigation: The successful candidate will need to successfully complete the following clearances: Criminal history check Reference check Management Conductor Program: Becoming a qualified conductor or locomotive engineer is the single best way for a management employee to learn the business at CP. You may be required to obtain a certification or to maintain your current certification/qualification as a conductor or locomotive engineer. CP is an equal opportunity employer committed to the principles of employment equity and inclusion. We welcome applications from all qualified individuals. All applicant information will be managed in accordance with the federal Personal Information Protection and Electronic Documents Act ("PIPEDA"). Toronto - Corporate Assistant (International Trade) Essential Functions: Accurately proofread, format and assist with various legal and general materials, including: documents, reports and other items, ensuring accuracy and completeness; checking for appropriate formatting, spelling, grammar, etc. Assist in the preparation and completion of various litigation documentation such as court filings, notices, affidavits, motion records, compendiums and book of authorities Serving documents and filing them with applicable courts, tribunals and agencies Awareness of processes and deadlines for serving and filing court documents Maintaining existing filing systems and office procedures utilizing knowledge of legal records and procedures while managing confidential materials and documents Managing administrative aspects of the lawyers' practice/calendar with minimal supervision, including travel arrangements and expenses Qualifications: Community College Certificate in a Legal Assistant program with a minimum of 5 years of experience Thorough knowledge of legal terminology, Rules of Civil Procedure, Federal Court of Appeal, Canadian International Trade Tribunal (CITT), Canada Border Services Agency (CBSA), Arachnys Must have an understanding of Canadian legal documentation and administrative procedures Exceptional proofreading and grammar skills Excellent knowledge of Microsoft Office applications (Adobe Pro is a must) Superior time management, organizational and prioritization skills with ability to work under pressure Keen attention to detail and desire to provide high quality, accurate work product A strong team player and demonstrates positive work ethic Apply to: Human Resources Bennett Jones Services Limited Partnership 3400 One First Canadian Place P.O. Box 130 Toronto, ON M5X 1A4 Fax: 416.863.1716 E-mail: hrdepttor@bennettjones.com Please note that relatives of current employees are not eligible for consideration. All offers of employment are conditional upon the satisfactory verification of a Canadian criminal record check. Determination of the factors that constitute satisfactory verification is within the sole discretion of Bennett Jones. This position will remain open until a suitable candidate is found. Bennett Jones is committed to providing accommodations throughout the recruitment process in accordance with the Accessibility for Ontarians with Disability Act, 2005. If you require accommodations, please notify us and we will work with you to meet your needs. We are proud to be an equal opportunity employer. Job Description Shell Canada Limited is seeking a candidate to fill the role of Legal Counsel, Canada - Global Litigation, based out of Calgary. This position is responsible for supporting Shell businesses with contentious regulatory, Aboriginal and environmental matters, along with managing and substantively carrying a docket of contentious Group litigation matters in Canada. The candidate will be one of a team of 4 litigation lawyers in Calgary and Montreal, Canada. The role reports to the Managing Counsel, Canada - Global Litigation and is accountable for the following: Providing cost effective and efficient legal services to business and legal managers in order to meet the litigation and dispute resolution needs and priorities of all Shell Businesses, with a focus on disputes relating to Project regulatory approval processes in Canada, stakeholder and Indigenous relations issues, and other civil and commercial disputes. Active involvement in all legal aspects of the development of Shell’s regulatory strategy and applications for Canada projects, including advising on preparation of application materials, participation in regulatory hearings, and possible appellate work related to same. Providing advice on Shell’s stakeholder relations strategies, with a particular emphasis on Indigenous engagement and dispute resolution. Negotiating and resolving disputes with potentially impacted Aboriginal groups, within defined project timelines and within defined budgets / mandates. Managing trial and appellate litigation arising out of Shell’s ongoing business operations, legacy business operations, and Project regulatory and compliance matters. This includes royalty disputes, surface land disputes, and other disputes with parties impacted by or having some interest in Shell’s operations. This includes both civil / commercial litigation as well as alternative dispute resolution processes. Providing executive and individual contributor-level training on litigation risk, and risk related to environmental, regulatory, Aboriginal, commercial and civil legal issues in Canada. Liaising with Communications, Community and Indigenous Relations, Investor Relations, and Government Relations to provide advice on messaging and legal issues related to reputational risk arising out of litigation matters, as well as emerging regulatory and policy initiatives in the areas of Indigenous and community relations and sustainable development. Monitoring and advising business leaders on jurisprudential and regulatory developments insofar as they impact Shell’s current and future operations. Country of Work Location Canada City, State (if applicable) Calgary, Alberta Work Location Calgary - Shell Centre Skillpool Legal Company Description Shell is a global group of energy and petrochemicals companies with over 90,000 employees in more than 70 countries and territories. In Canada, we have operated for over a century and are a major producer and marketer of oil, gas and petrochemicals, Canada’s largest producer of sulphur and a significant oil sands developer. We deliver energy responsibly; operate safely with respect to our neighbours and work to minimize our environmental impact. We are in search of remarkable people who will thrive in a diverse and inclusive work environment to deliver exciting projects locally and globally. People who are passionate about exploring new frontiers. Innovators and pioneers. People with the drive to help shape our future. Requirements Must have legal authorization to work in Canada on a full-time basis for anyone other than current employer. Undergraduate degree (4 years) and Law degree (JD/LLB - 3 years). Member of Law Society of Alberta (Articling/Bar Admission Course). 7-10 years of post-call experience at a mid-to-top tier firm; in-house legal department in the energy, mining or utilities sectors; or as legal counsel to a directly applicable government regulatory, quasi-judicial or administrative body; with demonstrated experience in energy regulatory, indigenous peoples and environmental litigation matters before various levels of court and regulatory tribunals in Alberta or elsewhere in Canada. Experience dealing with the provincial and federal regulatory regimes governing Shell’s Canadian operations, as well as litigation and dispute resolution experience involving Aboriginal legal issues and operational / environmental compliance issues is necessary. For clarity, there is a secondary general energy commercial litigation / dispute resolution component to this role, and therefore, the ideal candidate will also have had some exposure to general commercial litigation and/or alternative dispute resolution and be willing to engage in this practice area, as part of a more project regulatory-based dispute resolution practice. Strong Written and Verbal Communication Skills. While strong energy regulatory dispute resolution skills are required, equally important is a proportionate level of both business acumen and an ability to engage with Shell’s business leaders, in order to understand what success looks like, and to tailor legal advice and regulatory strategy accordingly. No. of Positions 1 Disclaimer Please note: We occasionally amend or withdraw Shell jobs and reserve the right to do so at any time, including prior to the advertised closing date. Before applying, you are advised to read our data protection policy. This policy describes the processing that may be associated with your personal data and informs you that your personal data may be transferred to Royal Dutch/Shell Group companies around the world. The Shell Group and its approved recruitment consultants will never ask you for a fee to process or consider your application for a career with Shell. Anyone who demands such a fee is not an authorised Shell representative and you are strongly advised to refuse any such demand. Shell is an Equal Opportunity Employer. With over 35 years of experience, Cartel is considered one of Toronto's leading employment agencies servicing the legal community. Our clients are among the most distinguished law firms and our success lies in our applicants and their desire for the perfect career match. There is no fee to register with Cartel for any employment opportunity. We listen. We're honest. Just ask your friends. They'll tell you. Cartel. Give us a call; we really do make the difference. Position Title: Personal Injury Lawyer Our Toronto client is currently seeking an Associate Lawyer to join their team. They are an established firm who focus on company culture, fit, and mutual respect. Preference will be given to candidates who have experience with mediation, arbitration exposure. This opportunity offers a BASE + BONUS! Requirements: Excellent analytical skills with particular emphasis in the area of personal injury to assume a challenging tort case load. If this role sounds like something that you would be interested in, please submit your resume via email to: Ben @ Cartelinc.com Ben Higham B.S., JD., LL.M. Managing Partner Cartel Inc. One, First Canadian Place, Suite 2550 100 King Street West Toronto, Ontario, Canada M5X 1A4 While we thank all of our applicants, only those selected for an interview will be contacted. Location: Calgary, AB, CA Company: Sobeys Requisition ID: 51566 Career Group: Corporate Careers Job Category: Legal - General Counsel Travel Requirements: 10 - 20% Country: Canada (CA) Province: Alberta (CA-AB) City: Calgary Location: Calgary Office Postal Code: A proudly Canadian retail company, Sobeys began in 1907 as a small meat delivery business in Stellarton, Nova Scotia. Today, Sobeys Inc. serves the food shopping needs of Canadians with approximately 1,500 stores in all 10 provinces under retail banners that include Sobeys, Safeway, IGA, Foodland, FreshCo, Thrifty Foods, and Lawton’s Drug Stores as well as in-store pharmacies, liquor and more than 350 retail fuel locations. Together with our 125,000 employees and franchise affiliates and a collective passion for delivering exceptional food and shopping experiences, Sobeys’ purpose is to improve the lives of Canadians by helping them Eat Better, Feel Better and Do Better. All career opportunities will be open a minimum of 5 business days from the date of posting. Overview Sobeys is seeking a lawyer with 2-4 years of experience to join its team of 15 lawyers in the role of Legal Counsel. The successful candidate will be working regularly with business partners across Canada. Job Description • Review, draft and negotiate commercial agreements and advise on RFPs and indirect sourcing contracts • Provide a broad range of legal services on matters in which Sobeys may be engaged in order to achieve Sobeys’ goals and/or minimize legal risk • Provide functional legal services to business leaders and other employees including strategic sourcing and Related Business. • Oversee satisfactory resolution of complex, sensitive and sometimes ambiguous legal issues, typically with business risks • Advise the business on legal issues impacting the business, including the drafting and hands-on negotiation of diverse agreements with internal and external clients • Direct some legal actions in which Sobeys is involved, either directly or through outside counsel, including management and oversight of outside counsel • Manage/lead and/or assign work to paralegal and support staff on specific files or provide day-to-day direction Job Requirements • Strong analytical, drafting, negotiation, and situational judgment skills • Exceptional communication and relationship building skills • Ability to pro-actively provide ideas, advice and solutions relative to legal issues • Ability to work independently or in a team environment • Good relationship management skills • Adept at working with outside counsel • Ability to feel comfortable in a retail environment and confident dealing with all levels within the organization • Able to relate to people at all levels, both in and outside of the organization • Minimum 2 to 4 years’ experience gained from a combination of private practice and in-house roles in commercial law • Strong track record in managing a broad range of legal issues and interacting closely with clients/business team members • Experience with file management, litigation, information technology law and supply chain business will be preferred • Membership in good standing with a Canadian Law Society Sobeys is committed to accommodating applicants with disabilities throughout the hiring process and will work with applicants requesting accommodation at any stage of this process. While all responses are appreciated only those being considered for interviews will be acknowledged. We appreciate the interest from the Staffing industry however respectfully request no calls or unsolicited resumes from Agencies. Join the Global Community of Scotiabankers to help customers become better off. 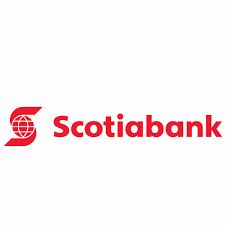 Purpose Lead Scotiabank’s eDiscovery legal, including setting global strategic goals for eDiscovery and related Information Governance matters. Responsibilities include: Provide practical legal advice and guidance on Information Governance and eDiscovery matters, as well as with respect to legislative changes and case law developments, and on new record repository and communication tool initiatives, current or planned technologies and retention of business records. Define and oversee eDiscovery procedures and practices, addressing issues related to preservation, collection, analysis and production. Provide legal advice and support on preservation and collection of records for litigation and regulatory matters, investigations, subpoena responses and other third party demands for records. Train lawyers and others on the use of eDiscovery platforms, legal holds, document retention policies and the collection and production of documents. Assist with cases and investigations, including reporting, as well as drafting, implementing and monitoring legal holds, and overseeing and conducting internal document review. For larger more complex matters which require outside support, engage and manage outside counsel and eDiscovery service providers, and provide substantive oversight and reporting on spend and ensuring budget compliance. Accountabilities The ideal applicant will have at least 7 years of legal experience, including significant time practicing in the areas of eDiscovery and Information Governance at a large law firm, government agency or in-house legal department at a major financial institution or large corporation. You are recognized as a subject matter expert in eDiscovery and Information Governance and have a solid proficiency in industry standard eDiscovery systems, especially Relativity. The successful candidate should possess strong communication and interpersonal skills, as well as sound business judgment and problem solving skills, as well as the ability to thrive in a fast paced, high volume environment. Champions a customer focused culture to deepen client relationships and leverage broader Bank relationships, systems and knowledge. Recommend and communicate high quality and valued advice and counsel on a broad range of legal matters related to litigation Develops and maintains strong working relationships with internal business units Understand how the Bank’s risk appetite and risk culture should be considered in day-to-day activities and decisions. Actively pursues effective and efficient operations of his/her respective areas, while ensuring the adequacy, adherence to and effectiveness of day-to-day business controls to meet obligations with respect to operational risk, regulatory compliance risk, AML/ATF risk and conduct risk, including but not limited to responsibilities under the Operational Risk Management Framework, Regulatory Compliance Risk Management Framework, AML/ATF Global Handbook and the Guidelines for Business Conduct. Champions a high performance environment and implements a people strategy that attracts, retains, develops and motivates their team by fostering an inclusive work environment; communicating vison/values/business strategy and managing succession and development planning for the team. Education Graduate of a recognized law school Private practice, government agency or in-house experience with a specialty in eDiscovery and Information Governance Membership in the law society of one of the provinces of Canada Location(s): Canada : Ontario : Toronto As Canada's International Bank, we are a diverse and global team. We speak more than 100 languages with backgrounds from more than 120 countries. We value the unique skills and experiences each individual brings to the Bank, and are committed to creating and maintaining an inclusive and accessible environment for everyone. If you require accommodation (including, but not limited to, an accessible interview site, alternate format documents, ASL Interpreter, or Assistive Technology) during the recruitment and selection process, please let our Recruitment team know. If you require technical assistance please click here. Candidates must apply directly online to be considered for this role. We thank all applicants for their interest in a career at Scotiabank; however, only those candidates who are selected for an interview will be contacted.